When you are in a normal dream, your self-awareness is shut down. It feels more like you are watching something instead of being a part of it. It is not physical at all; it all occurs in the mind. Research shows that everyone will have at least one lucid dream in their lives, just by accident even if you don’t remember it. So you will have to practice it to make it a regularly occurring thing in your life. Lucid dreaming has been around for a really long time even before it was scientifically proven or accepted. Aristotle was quoted saying “When one is asleep, there is something in consciousness that tells us what is presenting itself at that moment, is only a dream.” Tibetan Monks used dream control in dream yoga for more than a thousand years. The first scientific evidence of lucid dreaming was produced by the British parapsychologist Keith Hearne in 1975. He did it by catching the predetermined conscious eye movements from a lucid dreaming volunteer. Yes, Lucid dreaming is scientifically proven! Scientists have used cat scans to see which lobes in the brain activate when your brain goes lucid. 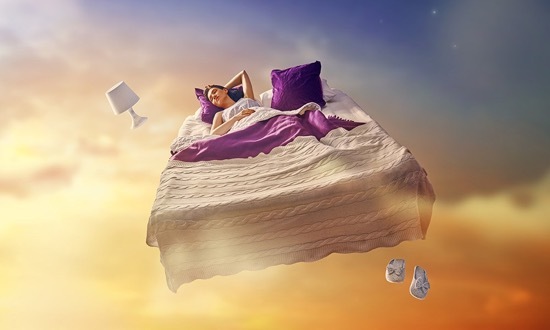 In the 1960’s Celia Green made the connection between REM sleep and false awakenings which made her think about the potential of self-awareness in dreams. There is also an institute at Stanford that is dedicated to understanding lucid dreaming. One study found that students who practiced ludic dreaming were able to do it, on average, between 3-21 days. Having a lucid dream is not actually that hard and anyone can do it because we all have dreams. Age and cognitive ability do not matter. Children can learn to lucid dream easily by themselves. 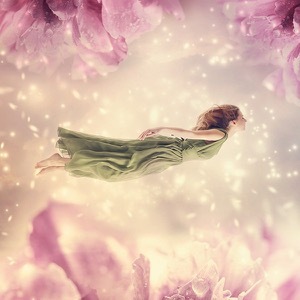 Even some medications for degenerative conditions can cause lucid dreams. 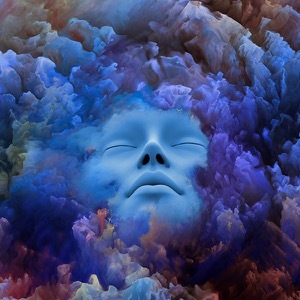 Lucid dreaming, on top of being something really cool to experience and fun to do, it does actually have some mental benefits like problem-solving, increasing your creativity, facing your fears, improving your confidence, practicing new skills, developing your sense of self and exploring your unconscious mind. There are people who also like lucid dreaming for the escapism aspect. It is a very powerful psychological tool. The biggest thing you have to do is get in the habit of recognizing the difference between the dream state and reality. You just need to practice these methods during the waking hours or before you fall asleep. Remember the first time you become lucid is always the hardest but over time, if you practice, it will become easier because of unconscious programming. Meditation – it will help you to focus your thoughts on what you really want. Visualization – this will help you enter a lucid state from waking. Do a reality check – this will create an unconscious habit of asking yourself this. So when you are in a dream you can easily have self-awareness. Use a dream journal – it will help you create a sold image in your head of what the dream state is like. You can also take dream herbs which will make your dreams longer and more vivid. Here is a very good method called the WILD method (Wake Induced Lucid Dreaming). It is super easy to do and it follows the same techniques listed above. Step 1. Get a dream journal. This helps you to remember the dream state instead of forgetting about it during your day. Step 2. Get something or do something that will remind you that this is waking reality. Usually, these things can’t carry over when you are in a dream so you will know when you’re in a dream. Step 3. Ask yourself “Is this real?” or “this is reality” while you are awake. If you do it 1 or 2 times every hour, you will plant that into your subconscious and find yourself subconsciously asking it in reality and dreams. Step 4. Before you go to bed, set an alarm to go off 4-5 hours ahead of the time you are going to sleep at. Step 5. When you wake up, don’t move and just try to relax but don’t sleep. Step 6. Resist the urge to move. Stay still as if you are going to sleep, but reminding yourself to stay awake and that you will go lucid. Step 7. You may notice some squiggly lines passing by your eyes. Just ignore it and try to keep your focus on the third eye area. Step 8. You will start seeing images and shapes. This is your body trying to sleep. Just let it flow and don’t attach yourself to them. Also, remember to keep confirming to yourself that you are dreaming now. Step 9. At some point, you will go into a dream and you will be lucid dreaming!